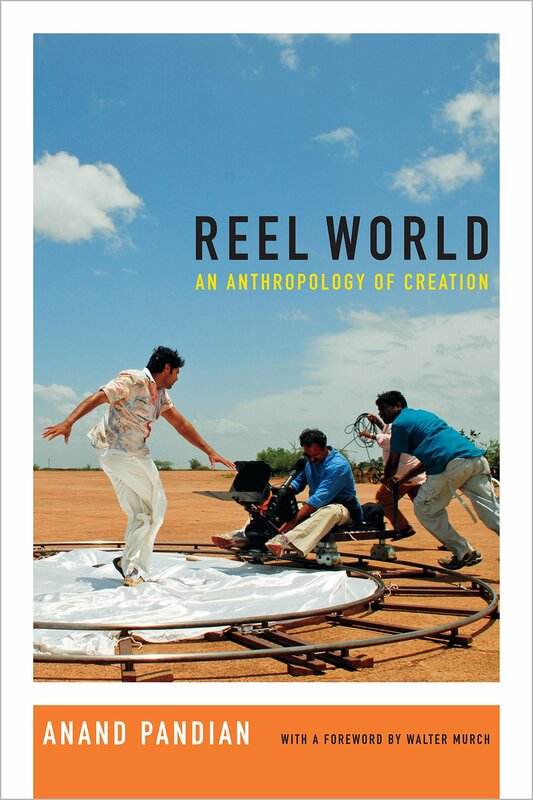 Anand Pandian’s Reel World: An Anthropology of Creation is a fascinating and truly inspired inquiry into questions of experience and the media through which experience is rendered (word, image, and sound) in and about Tamil cinema and beyond. Pandian walks a path where visions are realized between seen-ness and feltness, between openness and the limits of the frame. Much in the way Gilles Deleuze appraised Merleau-Ponty’s phenomenology as a way to think through the problem of sensation in the paintings of Francis Bacon—whose figures (and their creator) struggled to “make” sensation within the dimensions of the canvas—Pandian offers a similar appraisal of the action and trace of creation, not of the body and its excesses, but of the cinematic scene and its making. At its core, Reel World is a fine-grained ethnography of cinema and filmmaking—of creating images, taming images, blurring them and infusing them with other things—that extends the horizon of ethnographic telling. Creation is not so much technique—not simply the shape of content, of character and storyline, of special effects—but a contest between minor voices, ambitions, the parallel technologies of writing and designing sound+image, dreams, stagings, recordings and lost traces, and for Pandian, looping the reel of this real back through a set of his own anthropological concerns. The following is an exceptional set of commentaries. We hope you enjoy. Meyers T. Book Forum—Anand Pandian’s “Reel World: An Anthropology of Creation”. Somatosphere. 2015. Available at: http://somatosphere.net/2015/book-forum-anand-pandians-reel-world-an-anthropology-of-creation.html/. Accessed April 20, 2019. Meyers, Todd. 2015. Book Forum—Anand Pandian’s “Reel World: An Anthropology of Creation”. Somatosphere. http://somatosphere.net/2015/book-forum-anand-pandians-reel-world-an-anthropology-of-creation.html/ (accessed April 20, 2019).